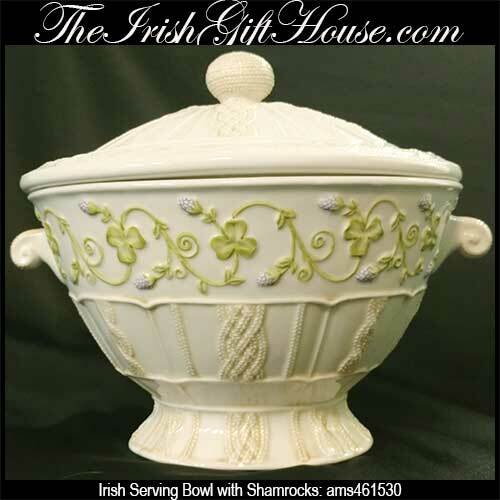 This Irish serving bowl features shamrocks and embossed Celtic knot-work. This Irish serving bowl features embossed designs that includes shamrocks and thistle along with Celtic knot-work. 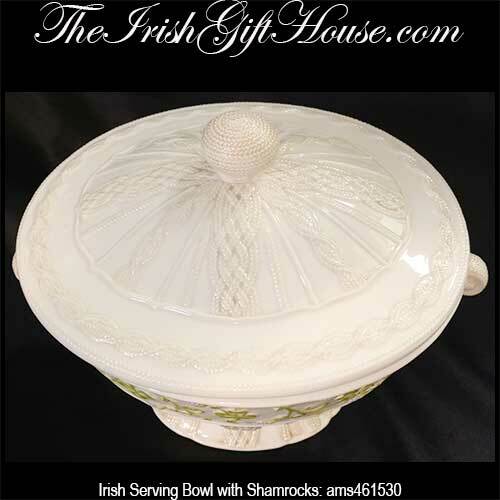 The Irish soup tureen measures 10" wide x 7 1/2" tall, including the lid The stoneware serving bowl holds 48 ounces is both microwave oven and dishwasher safe.